J’Adore Les Fleurs, a new flower shop at 542 Palisades Dr. (in the Highlands Plaza, next to Roast), combines a zest for flowers with a love of French design. 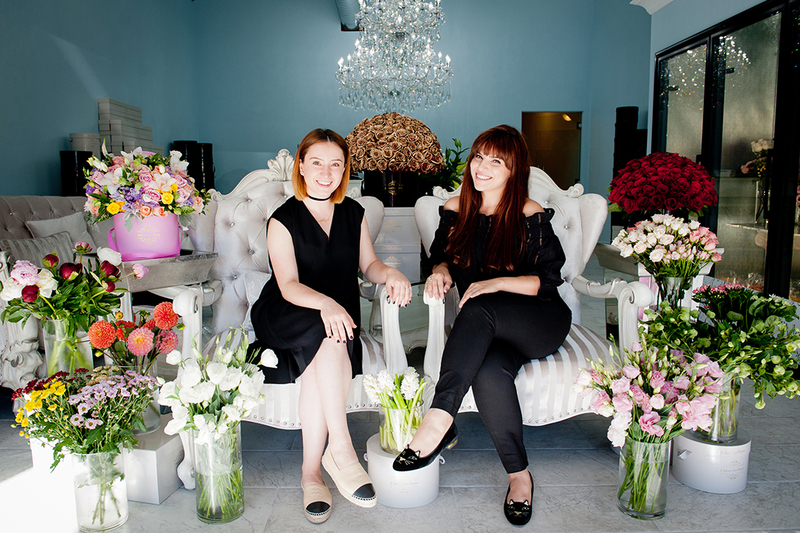 The family business, which is operated by designer florist Margarit Demirchyan and her two daughters-in-law, Eliza Glants and Alisa Tovmanyan, specializes in flower arrangements in hatboxes—an idea that has been gaining popularity in Europe, but had not yet come to California. The trio opened their first store in Studio City last year, expanded to Glendale later in the year, then opened the Palisades store on Aug. 3 because so many customers lived in Pacific Palisades, Santa Monica and Malibu. The hatbox arrangements, which start at $120, become more expensive due to the charges the owners have to pass along from its delivery company, but by having a Palisades location, those charges are either eliminated or reduced. “We hate charging delivery fees,” Glants said. J’Adore Les Fleurs now provides free delivery in the Palisades and less expensive deliveries to Santa Monica and Malibu. Glants, an attorney, and her sister-in-law, a fashion designer, first began working with their mother-in-law before they married her sons, Khachik and Davit Karapetyan, who also co-own the business. The women joined their mother-in-law’s endeavors for big events, such as weddings. “She likes teaching us how to make arrangements, and we love flowers,” said Glants, who grew up in Armenia where her mother-in-law Demirchyan studied at one of the country’s premiere floral design schools. After moving to the United States, Demirchyan first worked at flower shops before opening her own small shop 10 years ago. When the family decided to delve into the business together, they created the new, more specialized shop. The flowers they use come mainly come from Ecuador or the downtown Los Angeles flower market, where they make purchases three or four times per week “to assure we have freshest flowers in the shop,” Glants said. In addition, the shop makes arrangements based on a customer’s request, which can range from a $20 bouquet to one of the hatbox specialties, which may include roses, hydrangeas or varied flowers based on a client’s color scheme and preference.